A couple of months ago, Kenny Shiels expressed the view that Derry City's coaches were "in despair". Derry had delivered and nurtured a production line of the likes of James McClean, Danny Lafferty, Niall McGinn, Michael Duffy, Patrick McEleney, Barry McNamee and Ronan Curtis, but Shiels was concerned that it was drying up. "I don't know what the blockage is but my coaches are in despair at the moment because they're not getting Derry players," Shiels said at the time. "It's mostly Donegal boys that are coming to Derry now. We haven't got enough Derry players." Shiels called for the youth teams of the Maiden city to "trust" the Candystripes with their young talent. In a bid to get the conveyor belt rolling again, Shiels and Derry have turned to Paddy McCourt. The 'Derry Pele', one of Foyleside's most iconic stars, has been appointed as the head of Derry City's Youth Academy, a role he will take up in mid-September. "I want to have an impact," McCourt said. "I'll be able to do coaching, but the main part of the job will be to make sure that if we go to sign any young player from the city or the local area, that we're able to offer them the best platform in football. "The main aim of the youth academy is getting players through in to the first team. If that has stopped, it's my job to find out why and correct it as best we can." In 2008, McCourt left Derry City to sign for Celtic and he spent five memorable years at Celtic Park. Capped 19 times by Northern Ireland, the career of McCourt, one of the most naturally gifted players to come from this island, could be viewed as unfulfilled. McCourt said: "I feel strong and passionate about helping young people become better people and better players. "Football has given me a great life and it's given my private life great discipline to succeed in other lines of work. If I can create that and offer that to young children then it'll be beneficial to everyone." 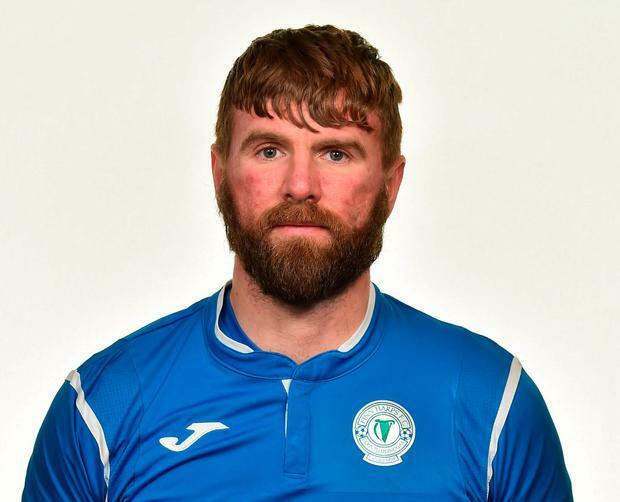 McCourt will complete his playing commitments with League of Ireland First Division side Finn Harps, who he hopes to help to a promotion charge. The 34-year-old will hang up the boots to concentrate on his new role at his hometown club. "He's a legend in this city," Shiels said. "If you start a conversation about football in this city, it would be a miracle if the conversation didn't include Paddy McCourt."